WHY WE DO WEEKEND BACKPACKS FOR HOMELESS. In Baltimore City Schools there are almost 3,000 homeless kids. This number keeps increasing. FROM FRIDAY AFTERNOON UNTIL MONDAY MORNING THEY GET NO FOOD. Many of these kids live in shelters, double up housing, welfare hotels, motels and some even in the park or cars. 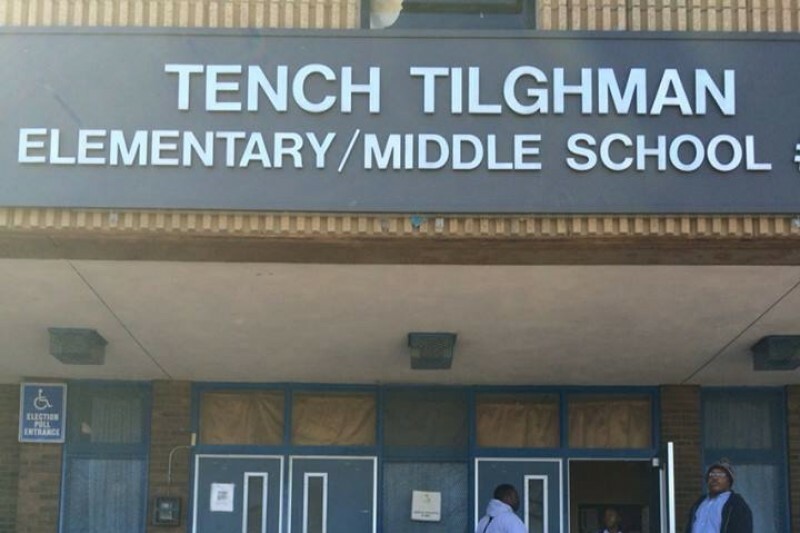 On March 14, 2015 we delivered our first backpacks to 24 first grade students at Tench Tilghman School on N. Patterson Park Avenue. Each backpack can serve at least 4 people. Our philosophy is the child does not live in islolation. In each backpack we include a quart of shelf serve milk, an 11 - 15 oz bag of cereal. Our four week menu varies from there. We put some of these items in the backpacks each week, not all: Chef Boyardee spaghetti or mac and cheese, canned sausage, pork and beans, canned corn, tuna fish, peanut butter and jelly, crackers, bread, pudding, apple sauce, Ramen soup, 100% juices. We do not put cookies or candy in the backpacks. 3 times a year we put toothbrushes and tooth paste. It costs us about $10.00 a week to fill a backpack. Since September 2015 we have added an additional 2 schools. And, hopefully on January 1, 2016 we will have funds to add the next 2 schools on our list. Presently, we estimate that we are feeding 600 people a month. The backpacks are packaged each week by the clients of The Chimes, challanged individuals, who are so proud of the work they are doing to help our kids. In partnership with ShopRite Supermarkets, we purchase all our food and they match us dollar for dollar with a generous donation. Kennedy Krieger Camp Soar, the camp for brain injured children, The Hackerman-Patz House at Sinai Hospital, to name a few of their charities. The dream of this organization is to be running the Weekend Backpack program in the same manner as Meals on Wheels. Only with your help can we get to that point and expand our efforts to more schools and to more homeless kids. We will start the new school year 2017 -2018 delivering 250 backpacks every Friday to 14 Baltimore City Schools. Each backpack can feed 4 people for the weekend. That means we are serving 1,000 people every weekend. It costs $10.00 to fill each backpack. 15 of Baltimore's top chefs will be cooking up savoring tastings for you. or make a donation to feed our hungry homeless kids... it costs $400.00 a year to supply a backpack to a homeless kids every weekend of the school year. Each backpack feeds 4 people for the weekend. All you people are absolutely amazing, We are now funded for another month.... but remember, we have to feed everyone until June. Our newest addition John Ruhrah Elem/Mid School in Greektown is asking us to add 6 more backpacks each week. At John Ruhrah we have 7 homeless kids in one family. We give them 2 backpacks every week. Thanks to all the social workers at the schools, who take care of the distribution of the backpacks. Since our program on WYPR we have been contacted by 4 schools who want us to add them to our donations. We thank you for the work that you do.